It’s starting to cool down a bit now in the UK and we can see fall slowly making its way! With the weather being a bit more crisp and cold in the mornings, we think this calls for a change to your breakfast choice! In the summer we all love some smoothies and smoothie bowls, but when the cold hits- there is nothing better than a warm, home-made porridge! 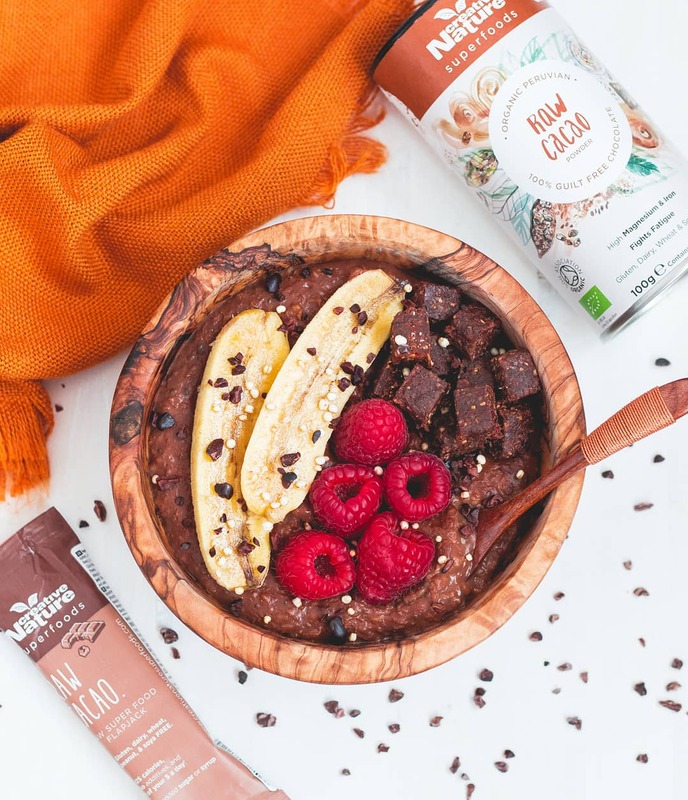 If you’re a chocolate fan that wants to make sure you have a warm, filling and high-fibre breakfast, then this it the choice for you! Top off with your favourite fruits and berries, or a chopped-up Creative Nature bar and you’re ready for the day ahead! Place all the ingredients into a saucepan on medium heat and mix until evenly combined. Cook for 5-7 minutes, ensuring to stir to avoid the porridge sticking to the bottom of the pan. Once cooked- place into a bowl and top off with your favourite toppings. We love adding chopped Creative Nature bars, Cacao nibs and various fruit! Thank you to @nourishing.andreea for the recipe.